Includes basic specifications and cabling options. To download or request a hard copy, please fill out the form to the right. 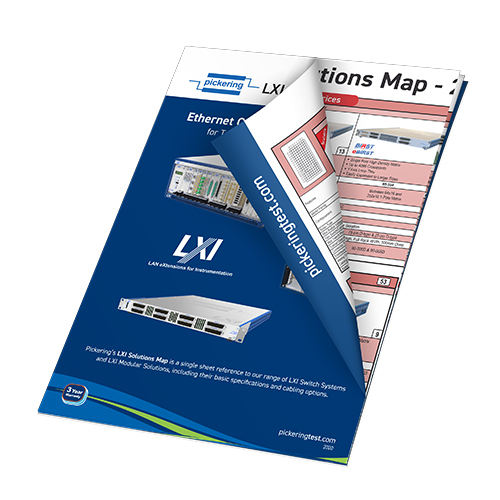 LXI is the power of Ethernet and the Web applied to Test & Measurement (T&M) instruments, offering you new possibilities in test systems – local, remote, distributed and time-aware. LXI products are also certified by third party test routes to ensure they comply with the standard. Have questions or want to know more about our LXI switching solutions?